A box from the original release of this outstanding line! 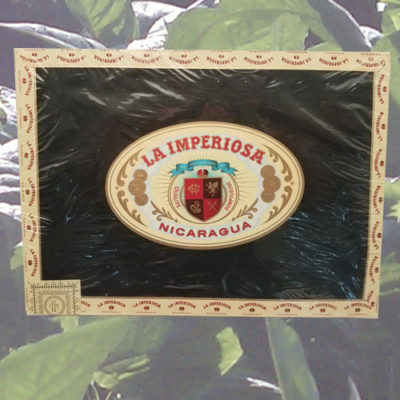 While doing inventory recently, Kurt discovered this box left over from the very first shipment of La Imperiosa we got from the fine folks at Crowned Heads, sometime in 2015. This box has been aging in our storage room since, patiently waiting for a devoted Crowned Heads fan to come along and see what the years have done to the flavors in this blend.